This is a gluten-free recipe which is made of purely rice flour & coconut milk. You'll be fascinated how beautiful this Apom looks ! The holes were created when I'm cooking it on a frying pan. There is actually a special mould for cooking this Apom. Here's where my inspiration came from, Alan @ Travelling Foodies. Apom its originated from traditional Indian cooking which the texture is quite similar to 'dosai' and it is both made of fermented rice batter as well. 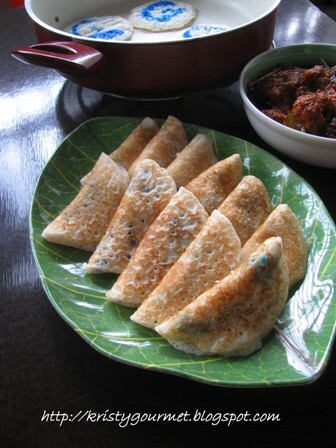 However, nyonya version is a bit thicker more alike to the western pancake and it is usually serve with sweetened banana gravy (kuah pengat pisang). Please read on for more. 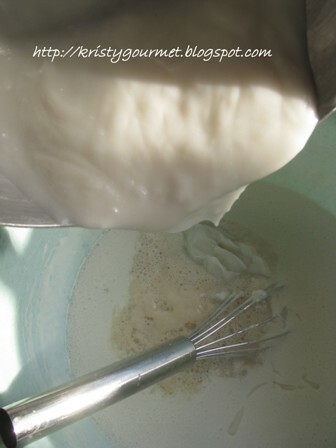 (1) mix together ingredients (A) and let to rest for 15 minutes or till frothy. 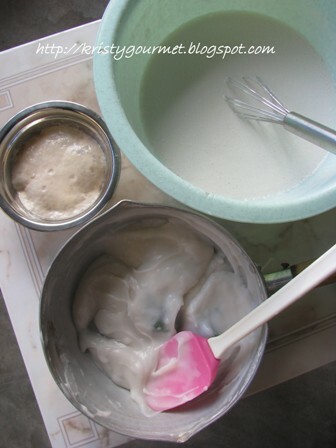 (2) combine ingredients (B) into a big mixing bowl and stir till well cooperated. (3) stir ingredients (C) till well mixed then heat over medium flame till mixture became smooth paste, leave aside to lukewarm. (4) now, bring together all the ingredients (A), (B) & (C) and stir till well cooperated. Leave to rest for 2 hours. (5) when ready, heat up an apom mould if you have one, otherwise heat up an frying pan, rub the surface with some cooking oil. 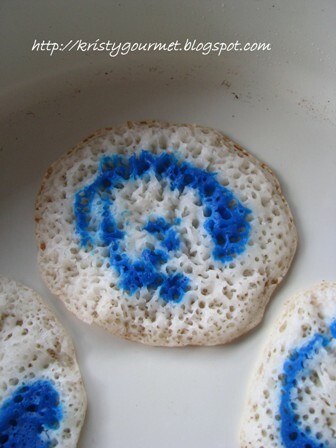 (6) withdraw 1/2 cup of apom batter and stir in blue pea flower concentrated water or a few drops of blue food colouring. Mix well. (7) pour 2 tablespoon of batter to pan and let to cook uncovered, over medium heat till bubbles appear. 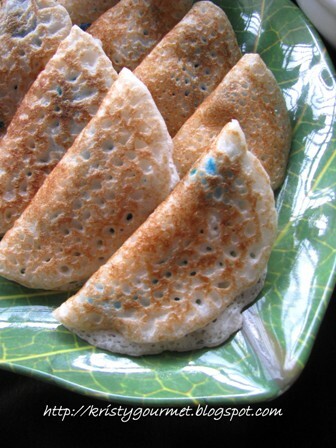 Then put 1 TB of blue pea batter on each apom and swirl gently with wooden chopstick. 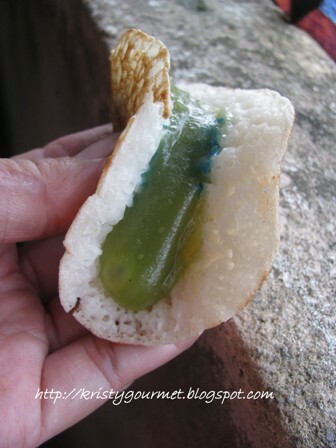 (8) once the apom is no longer sticky means its done and ready to pick up. And ready to serve. 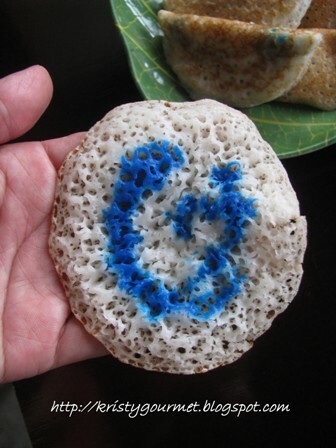 A yeast rice pancake recipe...very different and delicious!